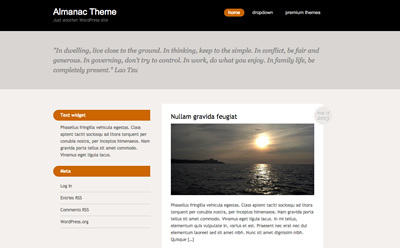 Almanac is a responsive blog theme that enables you to build your personal website quickly and effectively. You can post articles, images or embed videos very easily, with the attractiveness you have been looking for. The theme comes with built in lightbox and videos are added via a custom field. Easily embed videos via a custom field.